Inclusion is given different priority in different societies. Even when it is agreed that inclusion is a worthy goal, the amount of effort invested and the methods applied vary. 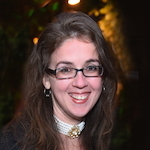 Inclusion in Israel is influenced by Jewish values regarding the importance of life and human dignity combined with the unique mindset shaped by life in Israel. This produces results that are different from the norm which can serve as an inspiration to people dealing with these issues, no matter where they are in the world. 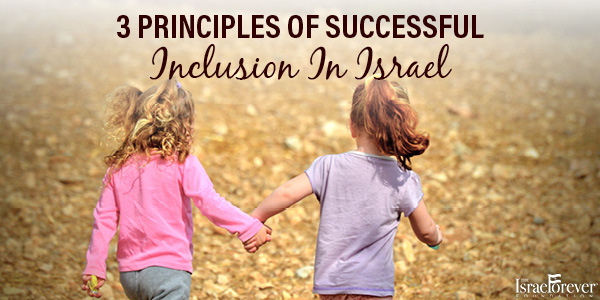 Below are three 3 principles that make Inclusion in Israel a success. Society is made up of many parts: different people, from a wide variety of backgrounds, each with their own set of abilities. While people differ in their capabilities, one life, one soul is not worth more than another. This means that everyone should have access to the same life experiences. In Israel, exclusion is not seen as a failure of the person with special needs but of the society that found it acceptable to leave that person behind. Israel is a family. Family doesn’t put members in a closet to make their own lives easier, and families love all of their members, finding the best in each other and helping each other grow. Just as we would not leave one of our own children behind, it would be inappropriate to leave someone else’s child behind – even if he or she needs a little more help to keep up. 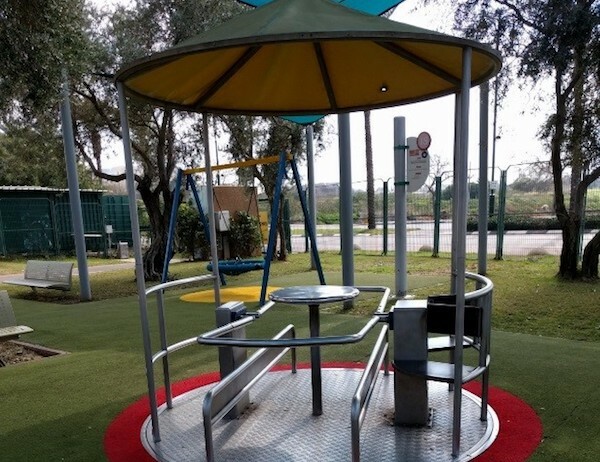 An example of this principle is Park Chaverim in Ra’anana, Israel's first fully inclusive and accessible playground and is the model for many other inclusion parks around the world. The park flips the paradigm by creating an entire park that is suitable for a variety of special needs rather than simply installing a few swings that are adapted for children with physical disabilities. Typical kids can just as easily play in this environment and there is no divide between children of varying abilities. 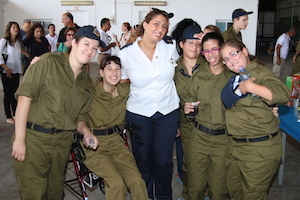 Equal in Uniform is a special IDF program that enables people with special needs to enlist, just like everyone else in their age group. The IDF is tasked with the defense of Israel but it also serves an additional role: that of social equalizer, the proverbial “melting pot”. In the IDF, Israelis from all socioeconomic backgrounds serve side by side, their position and success determined by their capabilities and willpower – not where they come from. 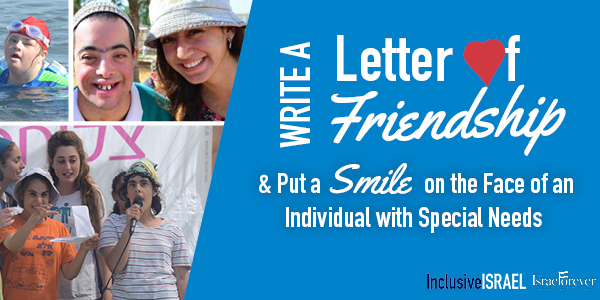 Enabling people with special needs to participate in this key element of Israeli society ensures their inclusion. Enabling every individual to serve according to their ability is a win-win for society: sending the message that all abilities are valued, pushes those who have special needs to achieve more than they ever thought they could while, at the same time, modelling the necessity to treat all people with dignity and respect. In a perfect world, solutions would exist for all the challenges of life. We would hope that there would be institutionalized programs that would suit people, according to their differing needs. In Israel, due to lack of resources, there are often holes instead of solutions. That’s why most of the Israeli inclusivity initiatives were created by individuals, usually parents who needed solutions for their own children and other times people who saw how their individual efforts could contribute to something greater than themselves. 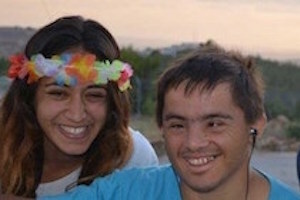 Yuval Wagner and his friends founded Access Israel after Yuval was severely injured in a helicopter crash during his military service that left him quadriplegic. Israeli Air Force pilots are the among the highest of Israel’s elite – to become a pilot, candidates must pass grueling testing that includes almost impossibly high standards of physical capabilities. Imagine having proven yourself, enjoying the honor and respect that comes with this status and suddenly becoming a quadriplegic. How would you feel? At the time, much of Israel’s public spaces were not adapted for accessibility and there was a lack of awareness regarding the need to do so. When Yuval suddenly found many aspects of life inaccessible it would not have been unusual to sink into depression, get angry or feel victimized. Instead Yuval decided to fix the problem, for himself and for others in the same position. What can be more empowering than helping others? 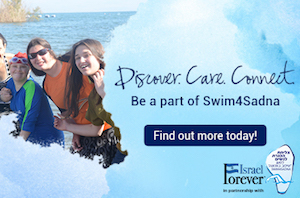 Countless Israelis like Yuval (in almost any field imaginable) use the challenges they experience in order to assist others – and by doing so, help themselves as well. Israel is a small country with limited resources. This reality has nurtured a mindset that insist on winning with the tools at hand. The same mindset that fuels the Start-Up Nation, drives inclusivity projects: how can we win with what we have? We look for the strengths in the individual, adapt for their weaknesses and everyone benefits. One of the most powerful examples of this is the special IDF intelligence unit that deliberately enlists soldiers with autism because they have capabilities that typical people do not – an ability for intense, detailed focus over longer periods of time. In this case autism is not a disability, it is an advantage! 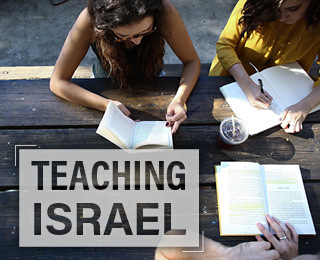 This principle is one of Israel’s greatest strengths. The determination to succeed with what exists has driven Israel to win wars against nations stronger and much larger, raise fish in the desert, create water out of thin air and lead the world in medicine and technology. The same is true for Inclusion – becoming more inclusive does not mean integrating those that are weaker but making the collective stronger. Together we build a stronger, kinder and more versatile society, where everyone benefits.